This topic contains 5 replies, has 4 voices, and was last updated by lisapienaar 3 weeks ago. 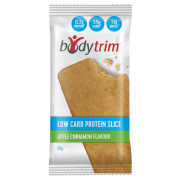 I joined bodytrim to try and kick start some weight loss after starting menopause and gaining it, however 300gm after the initial week does not seem adequate to me, after what felt like starving myself for the first 3 days. My diet previously was healthy with a few treats, ie fresh meat and vegetables, not processed food, and 2-3L of water every day. I also exercised most days. This topic was modified 2 months, 2 weeks ago by Joanne.thomson. Not everyone responds with large results at the start due to many complicated things including body type, previous diet, complicated metabolism or illness in the body etc. My advice, stick in there, it will work long term. 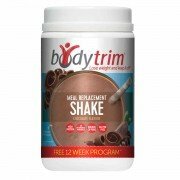 I have come back to bodytrim after many issues caused me to have to depart from it for some years. I am glad to be back, and have started this new version of the bodytrim plan, and I am finding it is easier than the old one. When I first started the old one, I had metabolic rehab issues which caused me to gain weight in first 2 weeks, but it definitely came off after that. So 2 weeks in and the initial minute weight loss has gone back on. Pretty much the same as my general weight fluctuations weekly. Not sure I am impressed. However I shall stick with it for another while and see if there is any change again!! So 3 weeks in and I am now heavier than I was when I started. I am starting to think my lifestyle prior to this programme was healthier. Looking like a definite waste of money. After all why are we drinking high fat shakes????? We are very sorry to hear that you have not had success on the program. It can take a little time for the body to adjust to changes in dietary habits and we do tend to have fluctuations in weight during the short term as you noticed with your previous diet. When we alter our diet there may be changes in regularity which may take a while for the body to readjust. We therefore hold onto this weight and it shows on the scales. Eating more fibre-rich foods and drinking more fluids can help the body to normalise again. 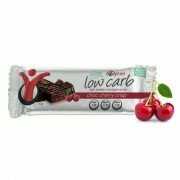 If you were already restricting your food intake before starting the program then it may well take a little longer to see an effect, and it is possible that if you were eating very minimal calories already then the FAST Start may in fact be providing more calories in comparison which will of course lead to weight gain. The FAST shakes are meal replacements and are only designed to be used in place of a meal (not to be used as snacks), they are different to the previous BT protein shakes and if you were to have the FAST shakes as snack options then this would very likely lead to weight gain. Ultimately healthy, sustainable and meaningful weight loss does take time. In general we have had great feedback on this program, but what works for one person may not work for the next as there are a lot of variables to consider. It may well be the case that your previous diet suited you better, it does sound like a good and well- balanced approach. The shakes have just less than 9g of fat per serve which is coming from the milk powder ingredients. A certain amount of fat is essential in our diets and it also helps to provide satiety. We will have someone contact you shortly. 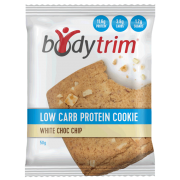 Hi, I had well and truly plateaud after a couple of months on Michael Moseley’s Fast 800 diet so decided to go low carb and joined Bodytrim. Because I had been on a diet of around 800 cals per day I used my discretion and did the Bodytrim Fast Start with only 2 shakes per day and dinner of 100-150grams lean protein and 2 cups low starch veg. I am a week in and so far it is working a treat. I am finding because I am in my 60’s and have a desk job that it definitely is harder to get the weight off than say a decade ago.